Tone. It’s not just the sound you hear. In marketing, it’s the tone of voice, your point of view in your marketing collateral. It makes a big difference when you’re trying to connect with your market. Your tone can increase or decrease your sales. It can generate leads or leave your ROI in the negative. Finding that tone is just as important as knowing your audience. Actually, knowing what your audience prefers is part of that consumer profile we told you about. It’s important that your consumers can relate to you. One way they can do that is with tone. For the majority of SMBs dealing with B2C, consumers prefer humor. Don’t try to tell a joke in your email or direct marketing pieces. Instead, find scenarios your consumers would find funny and somehow connect that idea to your services if it’s appropriate. Know your consumer’s core needs and try to find humor in those areas. For lawyers, it could be a humorous interpretation of the the other side -mocking them for trying to take advantage of your services. It’s really important that your company develops a consistent tone in all your marketing efforts. Use the same tone you use online in your direct marketing strategy. This will boost brand recognition. Don’t be afraid to use the same language and phrasing in both online and direct marketing collateral. Put on your consumer hat with me just one moment. When we are looking for something, whether it’s a gift or service, we have a phrase or keywords in mind. When we check the mail and scan it, the pieces of mail that stand out are ones that match what it is we’re looking for. When we search the Internet for a product or service, we have those same words and phrases in mind. Keywords are just that. Words key to what it is we’re looking for. 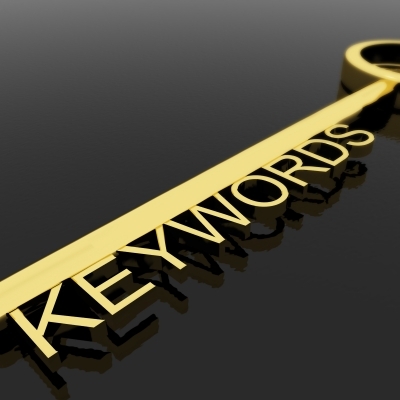 Consumers use keywords to find what they want. Normally keywords are used for search engine optimization (SEO) purposes. But I tell businesses it transcends online marketing and SEO and also bleeds into direct marketing. Sales are made when consumers find what it is they’re looking for after a they find something that triggers their memory of a keyword. As you’re developing your marketing plan, think of words your consumer would use to find your product. This is a good time to reference your consumer profile to pin point those keywords. Then conduct keyword research (or contact Logic of Leads to do it for you). Pin point the keywords that will drive the most traffic to your site and convert to generate sales. Use these same keywords in your direct marketing strategy. You want to create consistent messaging both online and off. Using consistent keywords is also good for branding. For years, companies have used tragedy to their own benefit. They play on emotions and fears of victims and the general public. That may have worked and still may. We don’t advocate that. But we do advocate using tragedy to do something good. Turning a bad situation into something positive, as difficult and unfathomable as that sounds, will help generate sales and leads. During times of tragedy like the #BostonMarathon bombings, people are flocking to social media outlets. They’re offering condolences, searching for updates on loved ones, and reaching out to victims. The majority of people, myself included, learned of this tragedy through social media. Companies are also participating by offering condolences. That’s the first step to generating sales leads. Consumers prefer to work with companies who are “human.” They want to connect with companies who care about them, who see them as people rather than just sales number. One way to do that is to develop an online marketing and direct marketing strategy that shows your consumers you care. We advocate integrating both strategies so your messaging is consistent. Here are a couple of strategy ideas. You can appear more “human” by offering your condolences in print and online. Volunteer or donate funds to victims and survivors. It’s okay to publicize those efforts. It’s good PR. Let your consumers know you care. Use similar verbiage in all your material (online and print) to maintain brand consistency. When tragedy strikes, companies should get involved with their communities. By doing that, you’ll generate good will and that will lead to sales and leads.